Aikido Journal documents the art of Aikido, the life of the Founder, and the activities and philosophies of leading practioners of Aikido and Aiki-jujutsu. Stan Pranin, the founder of Aikido Journal, arguably did more than any other person to preserve original source material about the Founder and Aikido. He passed away in 2017, but Josh Gold continues to maintain the site and add information to it. 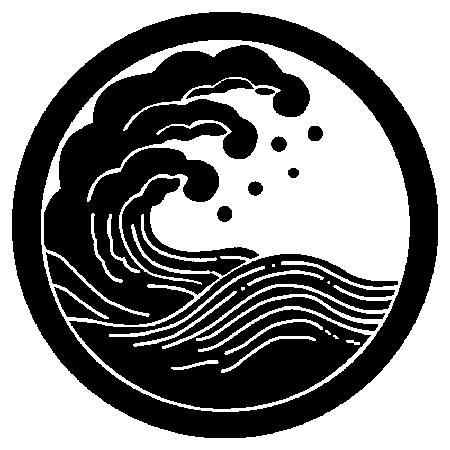 Anyone interested in Aikido and Morihei Ueshiba will be interested in this website. Aikiweb is a consolidator of a great deal of information about Aikido, including vocabulary and descriptions of techniques. Ellis Amdur is one of the foremost thinkers about Aikido and related martial arts. Ellis's insights into Aikido, its practice, and its practioners, are second to none. His books on Aikido and traditional martial arts are well worth a read. Aikido dojos can be found in almost any big city, and in many smaller ones. Here are a few we recommend. Aikido Borealis - Our friends Derek and Diane Hedstrom opened Aikido Borealis in 2015, giving the Eagle River area an excellent Aikido dojo. Aikido North - Another Alaskan dojo, Aikido North is a very welcoming place to train in Anchorage, Alaska's largest city. North Texas Aikido - Located on 8 rural acres north of Dallas, North Texas Aikido is informally known as the Aiki Ranch. They have a beautiful facility, and practice Iwama Style Aikido. Aikido of San Leandro - Sensei Pat Hendricks is a superb teacher of Aikido. She was one of Saito Sensei's closest students and was promoted to 7th Dan in 2012. Aikido of San Leandro is a great place to train in the San Francisco Bay area. The Integral Dojo is located in Tel-Aviv, Israel. There, Israelis and Palestinians train together. If anyone can bring peace to that troubled land through Aikido, Sensei Miles Kessler is the one. The Korean Karate Academy teaches Ormanian's Tang Soo Do for both adults and children at Pavitt Health and Fitness. Master Mike Ban provides excellent instruction in this traditional hard style. Contact information is available here. Stuart Cohen holds Tang Soo Do classes twice a week at Juneau Aiki Dojo. He is affiliated with the Korean Karate Academy. He can be reached at 907-723-1821. Marcus Schaufele and Jay Watts have an outstanding Judo training program for kids at Capital City Judo, in the Mendenhall Mall. Vladimir Vasilev and Mikhail Ryabko teach Systema, the Russian Martial Art. Systema is a very flowing and effective art. Don Angier was one of the most skilled practioners of traditional martial arts in this country or the world. He taught Yanagi Ryu, the Yoshida family traditional Samurai martial system. Toby Threadgill teaches Tamura-ha Shindo Yoshin Ryu, a traditional Samurai martial art. Nippon Bugodu, formerly California S&P, supplies very high quality bokkens and jos, as well as uniforms and other martial arts supplies. e-boku is a very good Internet source for uniforms and practice weapons. Here is a short video of Chris Keller Sensei performing one of Osensei's spear forms. Alessandro Tittarelli of the Aiki Shuren Dojo in Ancona Italy has posted several videos of Saito Sensei on Youtube. These videos are an excellent introduction to Iwama style technique. Stephen O'Donnell of the Ki Institute of Self Mastery has posted a number of videos of Sosa Sensei on Youtube. Here are a few of them.